Chinese brands covering a large portion of budget segment Smartphone especially in India. Recently Coolpad after successful selling of Coolpad Dazen launched new device Coolpad Note 3 loaded with very premium features in low price; the specs include Mediatek 1.3 GHz Octa-core processor, 5.5 inches display, 13 and 5 MP camera, 4G support in both SIM slots, 16 GB ROM with 64 GB external SD card support, 3 GB RAM, Dual SIM support and 3000 mAh battery. 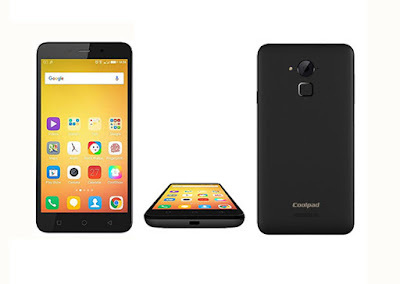 Here we will have Short review, Pros and Cons of Coolpad Note 3. We really appreciate the design of phone built on quality plastic where Metallic rim covering the edges, Coolpad uses maximum area for the display by cutting its bezels; 9.3 mm thickness can be slightly large although tapered rear edges make it comfortable to hold with single hand to an extent. It may be somehow large for some people but overall it’s nicely built with elegant design. Volume buttons are on the left while the power button is on the right. The 3.5mm jack on top and the Micro-USB port on the bottom. 5.5 inches become one of the common or standard size for the Note series Smartphone of most of brands. Coolpad Note 3 with 720x1280 resolutions and 320ppi of display density is bright enough but it’s not as crisp as AMOLED screen although you can see a quite decent quality of the display in this phone. For processing data and information it is powered with Mediatek MT6753 Octa-core processor with 1.3 GHz of the clock speed; the mobile configuring 64 bit octa-core processor + 3 GB DDR3 RAM + 5.1 (Lollipop) OS having company's own Cool UI skin creates a great environment for performing flawless and access to easy multitasking. Although we don’t like its UI as so called Cool UI not that much cool. As now Smartphones are replacing the place of digital camera; as they are providing awesome quality of photography but in case of Coolpad Note 3; this handset is failed to maintain its picture quality in night or insufficient lightning although you can capture a decent quality photos in daylight. As compare to Rear camera, front camera is not going to disappoint you which is better in taking selfies. The battery is main concern among the Smartphone user; here Note 3 did good job that after being 5.5 inches handset; it is able to give a one+ full day battery backup to a moderate user. Screen recording- Press power + volume up buttons will start recording a video whatever you do on screen. HDR support for both Photography and videography. Cool UI is not so cool; doesn’t impress at all. Rear cam captures poor quality photos in low light. Just uninstall any third party Launcher. It’s really cool that Coolpad is providing lots of features in such a price with one year warranty, the design is alluring with lag free experience, Primary camera is average and front camera is good. 16 GB internal memory can be expended to 64 GB. All features are standard personally I am missing 1080p Full HD display AMOLED display, Special Screen protection, a high quality camera although Lenovo K3 Note can be alternate for this handset.